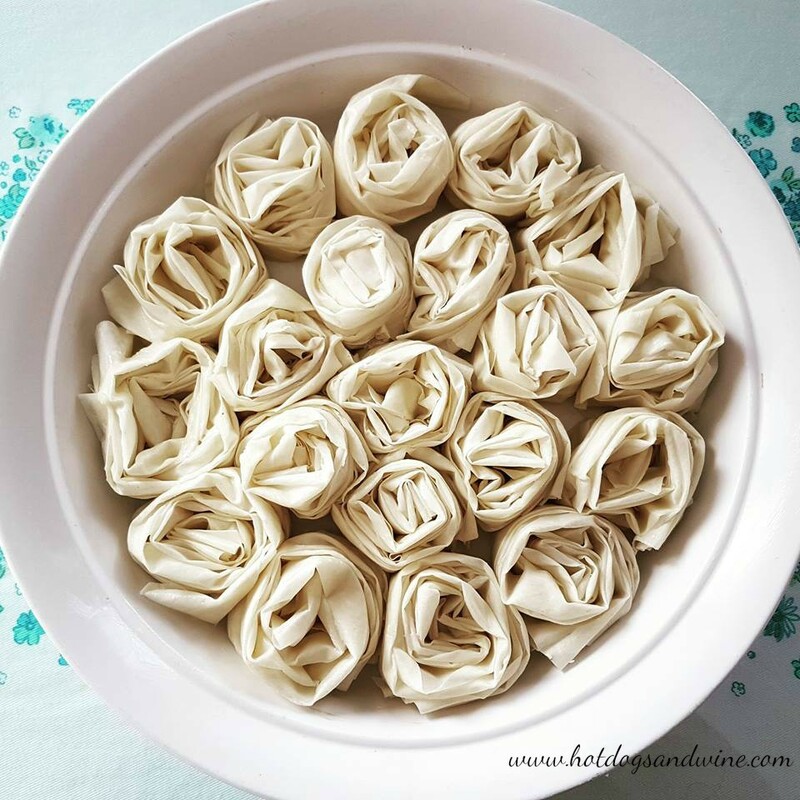 The other day I was watching Martha Stewart make all things phyllo. I LOVE LOVE LOVE phyllo! The first recipe she made was called a ruffled milk pie. I was glued to the screen soaking up every single word. This was apparently a Greek Easter pie made with phyllo and custard...that's it...she had me hook, line and sinker! I watched as she wrapped the phyllo around and around into a big circle similar to my veggie roulade tart. Then as she tempered the eggs with the scalding hot milk managing NOT to make scrambled eggs in the process, the final result was a thing of beauty. I mulled over what I had seen and thought of how I could make it my own and then researched this Greek delicacy. It's actually called bougatsa and it's made with semolina custard or minced meat and sometimes cheese. I wanted mine to be sweet and I wanted to incorporate maple syrup (I'll put maple syrup in just about everything). I researched a few recipes, each one very different from the other and none of them using maple syrup. I saw recipes like Martha's that called for tempering the eggs with scalding hot milk or cream and one that approached the custard like I make my mom's flan; cold. I modified the ingredients for the custard to my liking and tried the scalding/tempering method...TOTAL DISASTER! I ended up with a bowl of very sweet liquidy scrambled eggs...yuck! I chucked the sweet eggy soup and tried it again my way...I should have trusted my instincts from the get go. 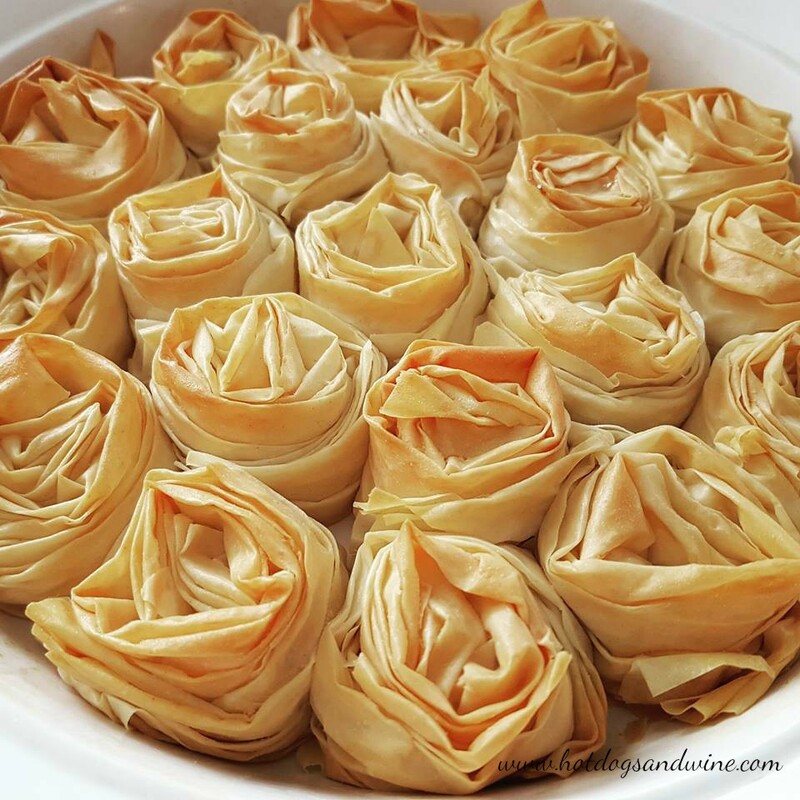 I was inspired by the beauty of my apple roses and I made this bougatsa a plateful of gorgeous rosettes. 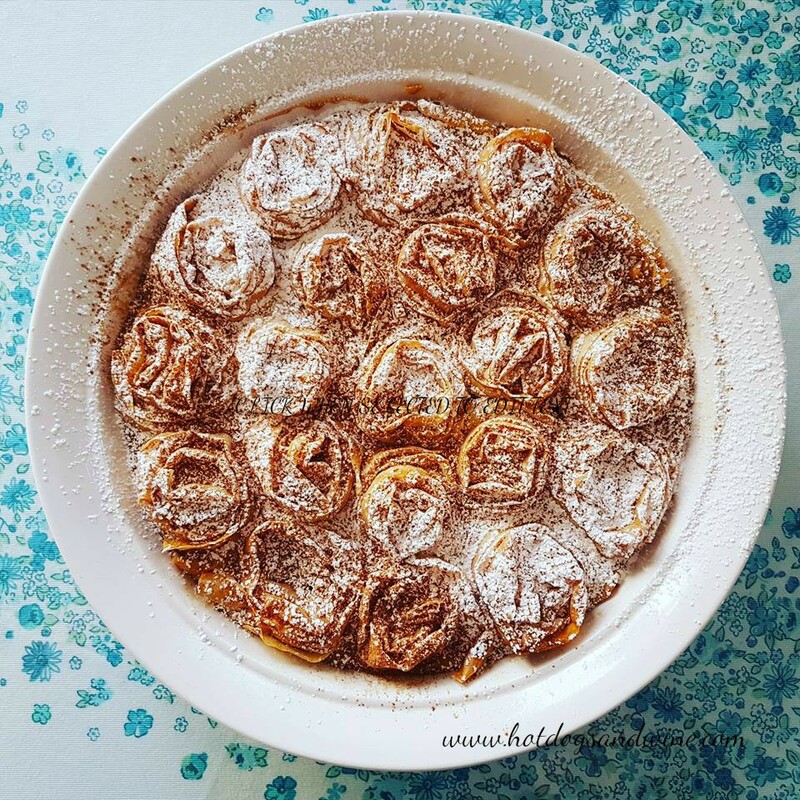 The following is the recipe to make the most heavenly maple bougatsa EVER! Join me as I discover new recipes, put my cooking skills to the test and have a blast doing it. Subscribe to our mailing list & never miss a post! Eva Lalonde & Hot dogs and wine, © 2015-2018.